How did the early Scottish and Irish settlers get along with the local First Nations people? You’ll find out this, along with other local lore and culinary insights as you taste your way down Bridge Street in Carleton Place. Through stories and connecting with the entrepreneurs in the town you will see the values, hard work and pioneering spirit of its people, past and present. On this ~3-hour guided walking tour you will taste offerings form seven local business five tasting locations! Carleton Place is growing by leaps and bounds and Bridge Street has developed a very vibrant and diverse restaurant scene. 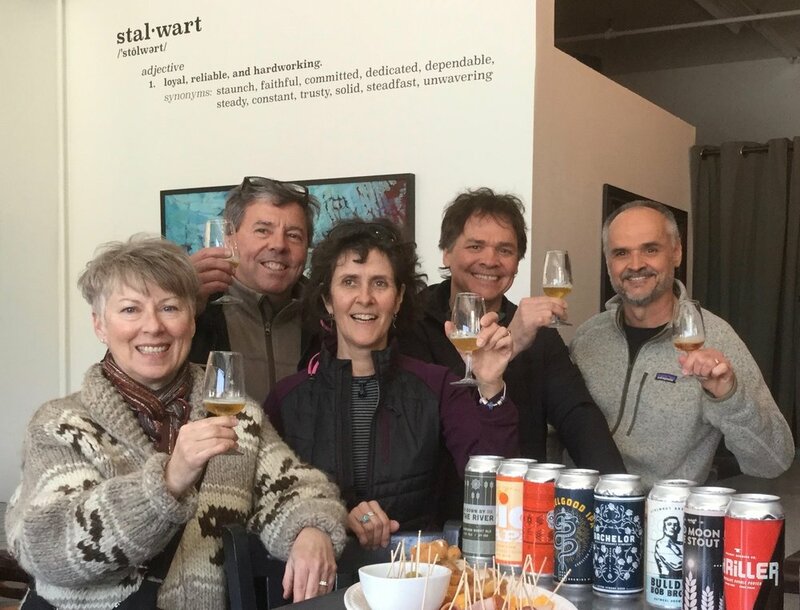 We start the tour at the Stalwart Brewing Company sampling their stellar craft beers, carefully paired with charcuterie from the Beckwith Butcher and something sweeter from Beckwith Kitchen. Then we head to the newest kid on the block; Boulton House restaurant along the beautiful Mississippi River. Next up is chef Ian's French Bistro fare at the popular Black Tartan Kitchen, followed by something special from chef Jordan at the Smith & Barrel Pub. Lastly, we'll finish up with one of Petra's special desserts at the much-loved Good Food Company. The tour starts at the Roy Brown Museum and Information Centre at 170 Bridge Street, Carleton Place. Free parking is available behind the Information Centre and on nearby side streets. Use Google Map below to get directions to the meeting point. Yes, local craft beer is served on this tour. If a guest prefers, a non-alcoholic drink can be provided if specified when purchasing a ticket. Additionally, several of our tasting locations provide ice water for tour guests. We walk at a leisurely pace and the tour covers 1.5 to 2 kilometres. At most locations we will be sitting down, however there will be some locations where we will be standing.